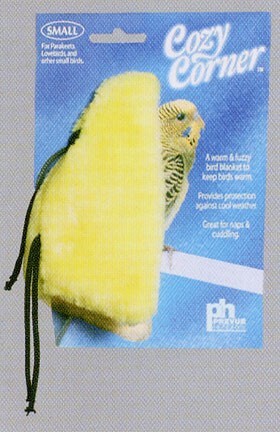 Fleece bird blanket creates a protected environment that keeps your bird warm even in drafty areas or seasonal weather. Simply place in corner near perch and tie to cage. Machine washable. Comes in assorted yellow, purple and green.